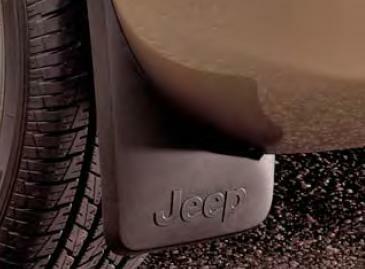 Deluxe Molded Splash Guards for the 2007-2016 MK Jeep Compass provide excellent lower body protection and accent the vehicle styling. Made of a composite of TPO plastic and TPR rubber to be rigid yet forgivable and paintable. They are molded to the contours of the vehicle for a custom fit and feature vehicle logo. Black, Set of two guards for the front (w/out Jeep logo) or rear (w/Jeep logo). Please side type and year above. Always buy original jeep parts. Very good construction and great fit. The splash guards fit like a glove. They looked great on my jeep compass.